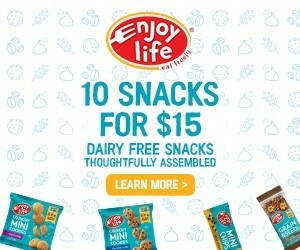 It’s hard to get my niece to eat anything snack-like that doesn’t have chocolate chips. The very concept of a mix with dried fruit repulses her, and an inquiry of, “What about dried cranberries?” was met with an immediate “Ew!” Yet, when we were at the store perusing the dried fruit and nut aisle, she proclaimed “Craisins! I love Craisins!” Ah, marketing; it really does work. 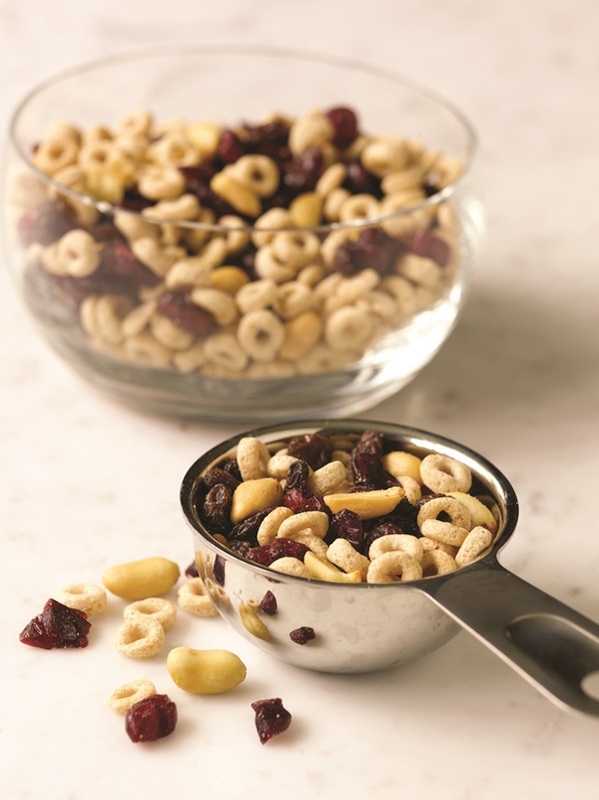 Whether you call them cranberries or Craisins, these little gems make a great addition to this portable cereal snack mix. But, if possible, veer away from those Craisins, and select a brand that is fruit-sweetened, such as Eden Organic. 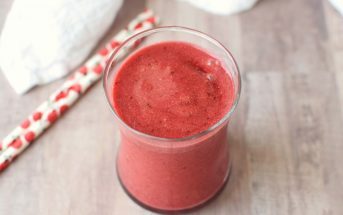 Should added sweetener of any kind be out of the question, you can certainly use all raisins in this mix, or add chopped dried unsweetened apples. The sky is the limit with this kid-friendly finger food. But beyond sugar, this cereal snack mix also addresses a less commonly thought of concern with both kids and adults, sodium. 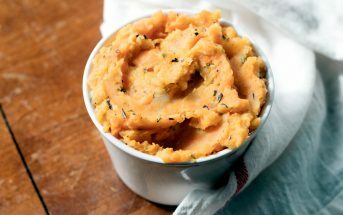 The recipe and images were shared with us by the National Heart, Lung, and Blood Institute as a low sodium snack. Truth be told, I’ve never thought much about sodium, as I’m if anything, a low salt consumer (sugar is definitely my nemesis!). But, with the amount of processed food consumed in our society, I could easily see the concern over excess sodium intake, even at a young age. Case in point, a 2012 study of children and adolescents found that higher sodium consumption was associated with increased blood pressure. This effect was even greater in overweight and obese participants compared to normal weight participants. Research also suggests that much like sugar, a child’s taste for salt develops as they are exposed to it. Children who eat less salt, crave less salt, leading to positive habits in the future. I’m not an anti-salt person by any means myself; I actually do believe that many of us are deficient. But in watching someone eat an almost purely processed food diet firsthand, I can see how the sodium could easily get out of control. Just take a look at this graphic. Read food labels and compare the sodium amount in different products, then choose the options with the lowest amounts of sodium. 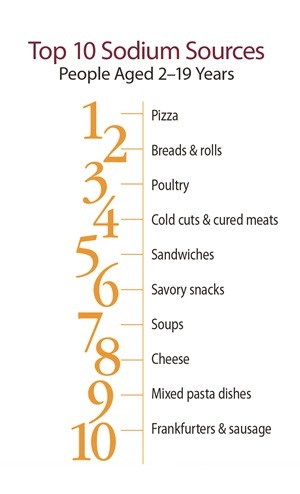 Some varieties of bread can vary from 80 to 230 mg of sodium per slice. That can make a big difference in lunchtime sandwiches. Pack fresh fruits and vegetables with lunch every day, like a small bag of baby carrots, snow peas, or grape tomatoes. When buying prepared meals, look for those with less than 600mg of sodium per serving (or simply avoid them altogether!). Also, keep an eye on deli meat; it is notoriously high in sodium and may even contain dairy as a filler. 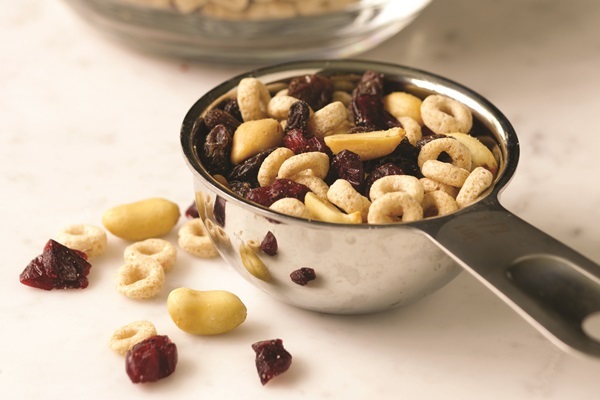 For a healthy snack, make trail mix like the Cereal Snack Mix below. For some other great ideas, see my post on 10 Tempting Trail Mix Recipes. 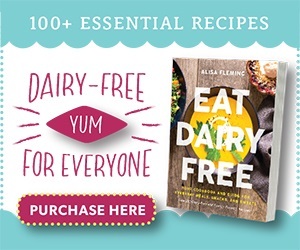 This recipe is non-dairy / dairy-free, egg-free, gluten-free, peanut-free, soy-free, tree nut-free, vegan, and vegetarian, IF you are careful in selecting your cereal. 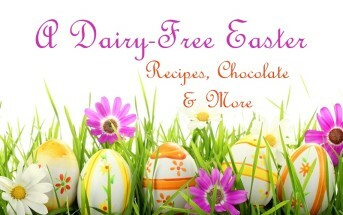 Look for a Toasted Oat Cereal brand that is “safe” for your allergies and/or labeled as gluten-free. We found Full Circle Organic to be a good option for our needs, but there are many brands available. 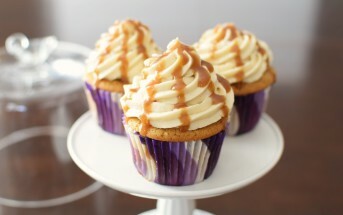 Serve immediately, or store in an airtight container for up to 1 week. Tip: Put snack mix in individual snack-sized bags for a great grab-and-go snack.